Some movies you have to find the actors funny independent from the film, and Masterminds is exactly that type. Take the movie as its own entity and it’s plain stupid; take it as a showcase of people you already think are hilarious and you’ve got yourself a Friday night. It’s all about how you form your perspective, and this film needs that perspective to be skewed in its favor in order for it to succeed. Get your opinions of these leads ready before sitting down (Galifianakis, Wiig, Wilson, Jason Sudekis, Kate McKinnon, Leslie Jones) because that will tell you how you’ll feel by the end. Masterminds isn’t a strong enough comedy to stand alone, but then again it never really does try. Based on a surprisingly idiotic true story, this is what not to do if you ever get the idea in your thick skull to rob a bank. David works for an armored car service, delivering money to ATMs on a regular rotation. He’s engaged but not happy, and when Kelly joins his crew, he thinks he’s fallen in love. But when Kelly quits, he knows he’s lost her forever, until she calls out of the blue to set up a meeting. Why, you might ask? It isn’t because David is a stud, that’s for sure. No, Kelly has teamed up with Steve and they want to rob the cash depot before the trucks can take the loot to the banks. Sweet but simple David agrees, thinking that Kelly will meet him down in ol’ Mexico, not realizing that he’s about to pull off the robbery of the century and go down in the history books as the most brazen criminal mind in the country. It’s insane that this story is true. These morons actually robbed the company that they used to work for, spent loads of cash, and were surprised when they didn’t get away with their crime. It’s shocksing that they didn’t shoot off their own feet, but they managed somehow, and their story is so amusing that it became a SNL-style comedy film. Like I said before, the movie isn’t actually that great, it’s the stars who make or break your enjoyment level, and I found myself smack dab in the middle between laughter and exasperation. Zach cracks me up, Kristen is a comedic genius, and Owen is lovable in the strangest possible way. Jason is cool, Kate has a cameo, but Leslie is a total dud, so the acting mainly works and is mainly funny. Masterminds is like a skit gone long and there’s no reason you can’t enjoy it, but it is in no way comedy gold. Zombie movies aren’t going anywhere, and you can take that two ways. They aren’t disappearing, even if the genre has been done to death (har, har), and they also aren’t progressing, finding themselves stuck in the same old rut of rotting flesh and harried humans. But if anyone can advance the theme, the Brits can, Danny Boyle already did it fifteen years ago with 28 Days Later, now it’s Colm McCarthy’s turn. 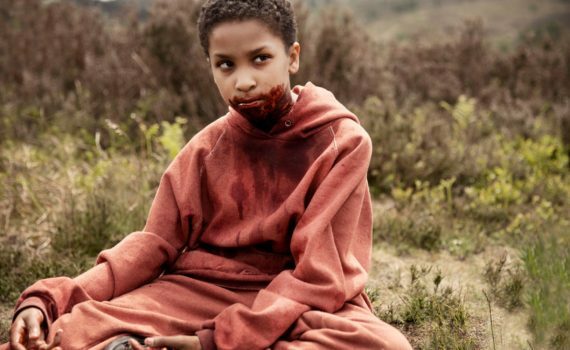 Problem is, The Girl with All the Gifts is his directorial debut; lucky for him he has a good book to base his film upon, and a good adaptation to work with. End result; this zombie movie is actually original and cool. In an incredibly fucked up future, infected “hungries” roam Britain, looking for a snack. Humans have gathered together behind barbed wire to survive the cannibalistic holocaust and are desperately working on a cure for the disease. A group of children who are kept in prison cells and monitored constantly hold the key to the next phase, either for mankind or against it, we’re not immediately sure which. One girl, Melanie, is highly intelligent and highly emotional, and her behavior might be the answer that we’re looking for. But before her fate can be decided, the base at which she is kept is overrun, resulting in the deaths of everyone but a lucky few, a group who will now travel to London with the desperate hope to survive. The setup for the story is spectacular, the kids strapped to their wheelchairs because the soldiers dare not set them free. It’s a cool concept, made better by fine acting from both the girl and her costars. I was fascinated by the dystopian foundation, and as a mild aficionado of the zombie genre, I was pleased to immerse myself in their world. That the plot morphed into something both comfortable and original was an added bonus, and I was ride alongside the characters in their struggle to stay alive. I appreciate when a genre flick can still summon up a few surprises, and this film definitely did, working to be fresh in a venue that can so easily go stale. Good job, Brits, you did it again, and I trust you to keep the progression moving forward. Dig Two Graves is what happens when someone watches Stranger Things and thinks that it would be better with gypsies. Guess what, it isn’t, Stranger Things: Gypsy Magic Battle Near The Quarry is as stupid as it sounds. The people who made this movie tricked themselves into thinking that their idea was a good one and that they could convince audiences of the same. Then they tricked us into paying attention to their fool’s errand with a cool trailer, something that I wish hadn’t hoodwinked me the way it did. Well, I know better now, and I’m also angry that I spent my time on what amounts to a completely absurd, throwaway horror flick with absolutely no redeeming qualities. Following WW2, in a sleepy, wooded town, a sheriff and his deputy did a bad thing. They dumped two bodies in the quarry, kept the secret of their deed for thirty years, but couldn’t stop the guilt and the repercussions from destroying their lives eventually. Waterhouse is now the sheriff, having relieved his former boss of his badge for his unspeakable crimes, the details of which are revealed to us slowly as events begin to creep up that remind the Sheriff that his role as a bystander was almost as terrible. His granddaughter, Jake, is visited by a trio of forest-dwellers, who claim to have the ability to bring her dead brother back from the grave, if she will only believe and do as they say, no matter the cost. 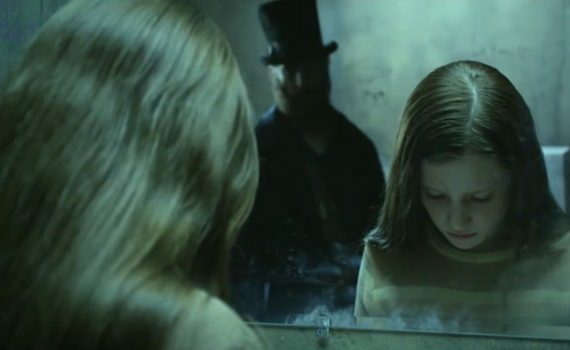 The story presented in the trailer caught my attention; an ancient evil, an old secret, a young girl who might do something wicked if it will bring back her family. The movie had an indie horror feel, but it also looked smartly done. I regret to inform you that none of that came to fruition; this film is a waste of time. It doesn’t offer anything new, as I thought it would, instead simply playing back so much that we have seen before without so much as an apology. The resemblance to Stranger Things was an insult, and they thought that butchering some deer would be enough to convince us that this was something new and uniquely evil. Dig Two Graves is just another bad attempt at a genre that’s hard to master, and it isn’t worth your 90 minutes. 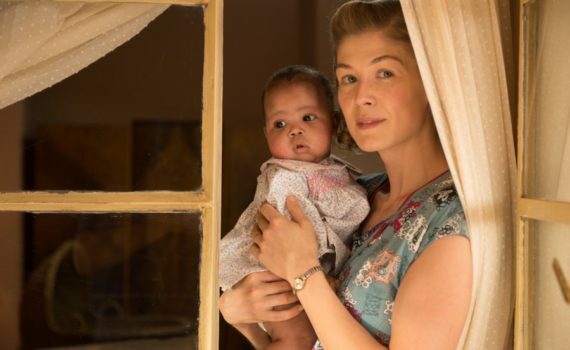 A true story about Botswana in the 1940s isn’t the type of tale to grab the attention of American audiences with ease. The second element of real life drama here helps a bit; the marriage of a black king to a white commoner, the crossing of racial lines that was more than taboo at that time and is still a topic of conversation to this day. The cast also aids in the sale of this film, Oyelowo and Pike being two premiere talents who may not yet be household names, but who both deserve and demand critical respect for their accomplishments. Unfortunately, anything the director could add to this story wasn’t enough to overcome some initial disinterest, and couldn’t force the film to be anything other than slightly boring. Bechuanaland in the early 1900s was a place of great turmoil, and the King turned to Great Britain for aid. To keep South Africa from annexing the country, it became a protectorate of England, its people’s freedom both protected and diminished. Generations later, the same royal line marched on in succession, but each King had to bow to the will of a Queen overseas, as Bechuanaland’s inhabitants grew poorer and South Africa grew more powerful. With the rise of apartheid in the area, tension mounted and segregation increased, fueled by Europe’s racism and the inability of the native leaders to completely rule themselves. Seretse Khama, the next King, was sent to London for an education, and saw for himself there the injustices that seemed so daunting. But life goes on, sometimes pitting individual desires against greater causes. Seretse fell in love with a British woman named Ruth, a salesman’s daughter who had no designs on becoming royalty of what amounted to an English colony. This man and this woman fell in love and wanted to get married, a right that was not denied by law, but was seen as a betrayal to both their race and their country. Bringing home a white wife to his native village, Seretse was challenged by both his own uncle and the British government, as his marriage threatened the delicate balance of power in the region, and angered the very powerful South African state. Love doesn’t always conquer all, it sometimes shatters under pressure, and few couples in history have ever felt such weight. The base story behind this film is a fascinating one, a true tale of love in the face of a seemingly unbeatable challenge. Banished from his own country for the sin of marrying the woman he loved, Seretse fought on against all odds, as Ruth was forced to grow accustomed to a new home without her new husband. Talk to a historian if you want to know how many small details were true to life, how many were forged for this film, but the love story shouts its message loud and clear, ringing with a truth that’s beautiful to watch. I had no problem with the plot, or with the passion behind it, the movie carrying an important topic back into the annals of history while also making this fight seen extremely relevant to our own time. My major gripe with this film is that it’s simply a little boring. The drama is set up well, it all flows nicely for a small period of time, but then everything slows down, and for the majority of the movie nothing interesting happens. It’s a bit of a runaround, the same events occurring over and over, and perhaps that’s how it really happened, but on screen it just doesn’t work. Once you get past the fact that literally nothing exciting happens except a childbirth, you can see some talent on display, but it’s almost too late by then. 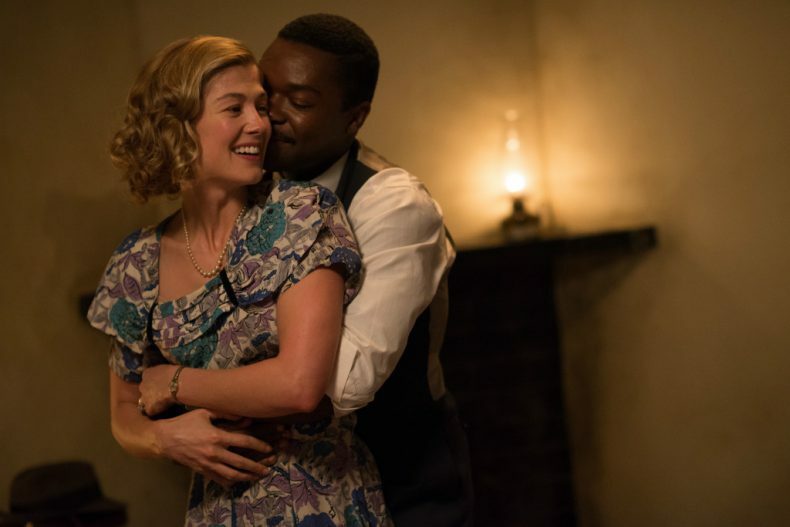 Oyelowo is as strong as always, Pike feels a little less like a fit for her character, but their chemistry is really nice. Davenport was a good villain, Tom Felton steps away from Draco Malfoy, but Laura Carmichael ought to be banned from the cinema; I couldn’t stand her as Lady Edith Crawley and she’s no good here either. 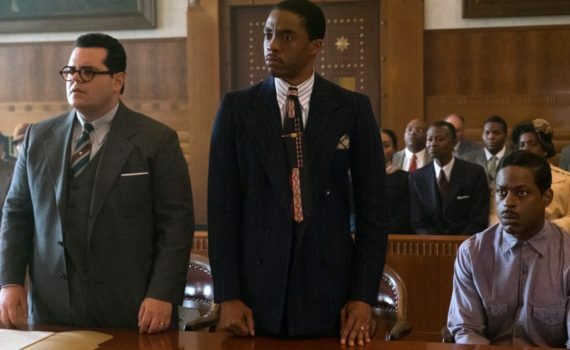 My overall takeaway is right near the middle of appreciating the true story and the acting, but feeling frustrated that the film failed to add any spice to what was ultimately an upsettingly bland offering. Video – With an aspect ratio of 2.39:1 (Widescreen), the video quality of the Blu-ray is probably the highlight of the film. The African scenery is beautiful, and a ton of attention was paid to the cinematography of the movie, not just to a few lovely sunsets. The colors were rich, the shots clear, and the visuals of this disc will impress those looking for some artistic details. Audio – The Blu-ray was done in English DTS-HD Master Audio 7.1, with an option of English Descriptive Audio 5.1. Subtitles are available in English SDH, Spanish, or French. The audio quality of the film is quite nice as well, with attention paid to dialogue, scenery, and soundtrack. The music is very pleasant, if not something you’ll look up the next day on Spotify. Extras – There are quite a few special features on the disc if you’re thirsty for more. A search bar is available on the main menu, where you can peruse scenes and bookmarks. Making Of is a 6-minute behind-the-scenes segment. Filming in Botswana is a 6-minute on-location piece. The Legacy of Seretse and Ruth is a 4-minute look at their story. London Film Festival Opening Night Gala Premiere is a 6-minute walk down and interview segment on the red carpet. Lastly, six trailers are presented: A United Kingdom, Hidden Figures, Jackie, Rules Don’t Apply, This Beautiful Fantastic, Table 19. Rent It. 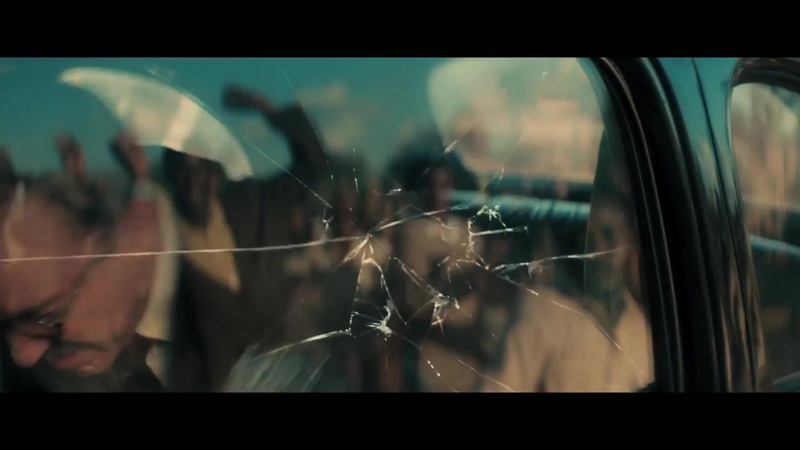 With better pieces than a final puzzle, A United Kingdom is a movie with a wonderful motive that just didn’t come together correctly. The actors are solid, the direction is artistic, the foundational story is there. The result just isn’t captivating in the way you might imagine it should be. The true story element is fascinating, but there isn’t any passion infused into the plot, at least not enough to keep audiences from yawning. If the film had been any longer, I might have fallen asleep, and that’s not a note on my lack of attention, it’s a criticism of the filmmakers’ inability to successfully draw me in. The video is actually quite wonderful, the audio nice, and the extras plentiful. Just don’t expect an Oscar-winning feature film; it won’t hold up to that much scrutiny. The phenomenon started with the first book in 1998, but the release of the movies mirroring this universe should be considered a massive event as well. 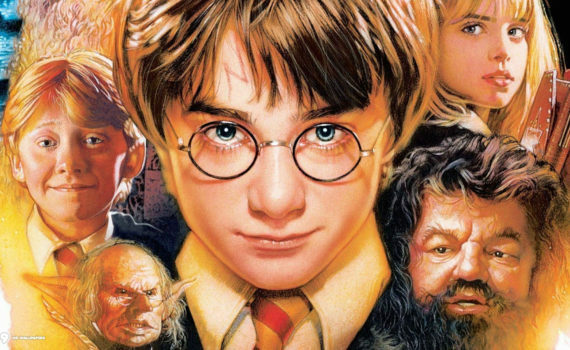 The world of Harry Potter has made billions of dollars, has spawned countless products, and has become a fantasy reality to people all over the world. 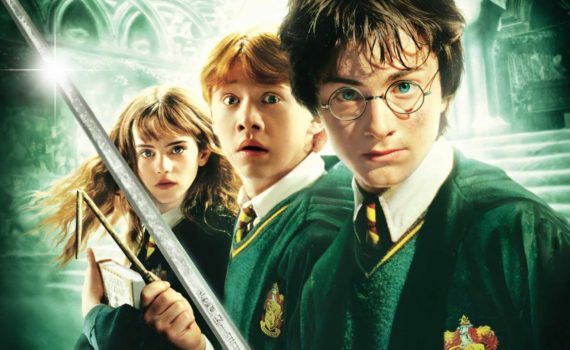 It’s not just a book series or a film series, it’s a global game-changer, and you’d have to have been living under a very large rock over the last twenty years not to have been swept up in the story in some small way. I didn’t read the books right away, I thought they were for kids, but when I movies started coming out and the critics started raving, I took notice. Here is the first film in what would become a group of eight, and it’s probably the very best. Young Harry Potter, having turned 11, has been invited to attend Hogwarts School of Witchcraft and Wizardry. Harry had no idea he was a wizard, his parents having been killed when he was a baby and his non-magical aunt & uncle having raised him since then. He also didn’t know that he was one of the biggest celebrities in the wizarding world, having defeated an evil sorcerer by his mere presence eleven years ago. Harry has a lot to learn, but the best teachers in the world are gathered at Hogwarts to make sure he becomes the great wizard he was born to be. But the evil being who tried to kill him all those years ago is trying to come back, knows where he’ll be, and wants to eliminate Harry before he can grasp his true potential. The first book is so cool, learning about this other world that we Muggles know nothing about. And the film version does a great job bringing that wonder to life, showing us this other place that looks so foreign but so awesome. This tale is funny too, with Harry’s horrible relatives, his mismatched group of friends, the adventures he finds himself mixed up in. Radcliffe is the perfect Potter, very lovable and brave to a fault. Grint is a good Ron, Watson often steals the show as Hermione, and good ol’ Hagrid is my personal favorite. Chris Columbus directs the story in his style, the original music is amazing, and this movie kicks off the franchise in about as perfect a way as you could wish for. Apart from the importance of the true story of this film, it looks utterly awful. Did every actor involved sign a clause into their contracts that they would deliver the worst performances imaginable, or is that just their talent level? My god, doesn’t anybody know what they’re doing anymore?! Heist movies are a strange breed, a mix of action and comedy that’s hard to sculpt into something resembling the form you first imagined. It’s one of the toughest genres for directors to get right, at least in so much as pleasing both audiences and critics, and in creating a final product that is as cool as the original idea that launched an entire team of professionals toward making your vision a reality. The work that goes into making any film is almost unbelievable, but I have to imagine that bringing a story like this to the screen offers a unique set of challenges that is cinematically unmatched. If it sounds like I’m looking for a reason to give this film an excuse or a reason for not living up to my expectations, that’s exactly what’s happening. Baby Driver was one of the movies I was looking forward to the most this year, and while it doesn’t completely disappoint, it also doesn’t perfectly deliver. Baby is a driver, but that’s not the beginning or the end of his story. Orphaned after a car accident, Baby grew up with an aging foster parent, a deaf man who quickly became a father figure, but also someone who needed taking care of. Baby already loved music, but after the accident, a constant ringing in his ears led to an obsession with tunes, so a soundtrack backs Baby’s daily life. Indebted to a local Atlanta mobster called Doc, Baby drives for robberies, and he’s the fastest thing on wheels this side of the Mississippi. But he gets in over his head when the jobs lead to killings, not just heists, and although he’d like to leave the criminal scene far behind, he just can’t seem to drive away. Baby Driver is a quirky combination of Drive and Guardians of the Galaxy, an underbelly drama with comedy and music thrown in for kicks. At times, it’s almost a copy of those two films, laying them over each other and trying to convince us that this plot is something entirely new. It’s a bit recycled, a bit standard, somewhat genre in the way it lays the action out, but that’s not even to its discredit; heist movies have a certain flow. It can’t match Drive for intense darkness, it can’t beat GOTG‘s level of entertainment, so it settles for something in the middle, a cool take on the regular recipe with a few new flavors thrown in. The most original element is the music, Baby providing the film with a backing track that is quite impressive, the movements of the characters matching the beats of the drum. It’s a nice touch, but it does turn a little gimmicky by the end, the film itself not able to transcend its trick. As far as the pieces go, they were probably better than the final puzzle. Elgort was a solid hero, likeable and everyman, just a kid treading murky waters. James is so lovely, both in looks and in personality, and her accent was actually spot on. Spacey was an awesome villain, a multi-faceted crime boss who’s cool beyond categorizing. And the team of crooks all played well together, with Flea jumping in for a quick cameo. I can’t fault the actors, and I didn’t dislike the film, it just doesn’t work on enough levels to be called great. The comedy was a nice surprise, but the jokes ran too long for my taste. The music was smart, but it needed to drop down to a murmur earlier. The action and driving were intense, but by the end I was done with car chases for the year. 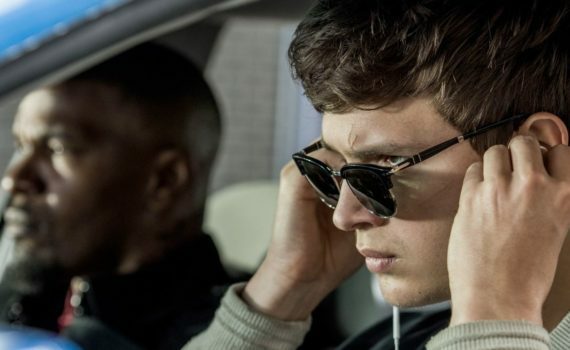 Baby Driver doesn’t do everything right, but it’s still a chilly treat for a hot season, and something you won’t regret watching.